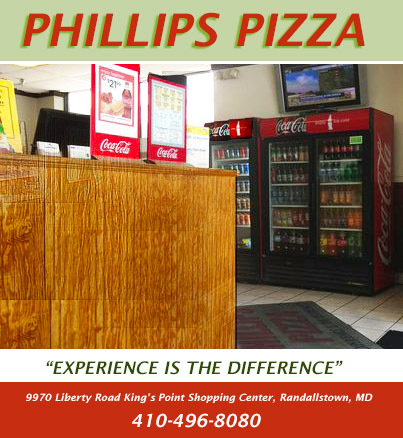 We are located in Randallstown, Maryland in the King's Point Shopping Center. We use quality ingredients and all beef products. We sell delicious food at a great price. Stop by today and try one of our delicious pizzas. Don't forget to take advantage of our great specials! Tuesday - Thursday: 11:00 a.m. - 12:30 a.m.
Friday & Saturday: 11:00 a.m. - 1:30 a.m.
Sunday & Monday: 11:00 a.m. - 12:00 a.m.